Our collection of games like Free Realms features other free to play online games that offer a RPG like experience for a younger audience. Free Realms is a massively multiple online adventure game that is set in a unique fantasy realm. The game launched in 2009 but was shut down by Sony Online Entertainment in March of 2014. Uniquely the game was available for the PlayStation 3, making it one of the few games in the genre available on a console. Free Realms was created for a young age demographic but also attracted many teenagers thanks to its deep role playing elements. Free Realms was an impressive 3D world where players could roam free while participating in a large number of activities in a solo or multiplayer environment. Exploration was key an emphasis on trying everything on offer. This includes MMORPG style combat, pets, jobs and mini games. The game proved a great place to hang out with friends in a safe online environment but also a popular place to make new ones thanks to the large community behind the game. 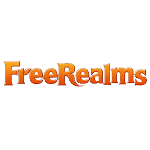 The games like Free Realms here include free, downloadable and online alternatives to Free Realms for players looking to get a great MMORPG experience.